This safari takes you to Mgahinga Gorilla park in Uganda for Golden monkey habituation experience. 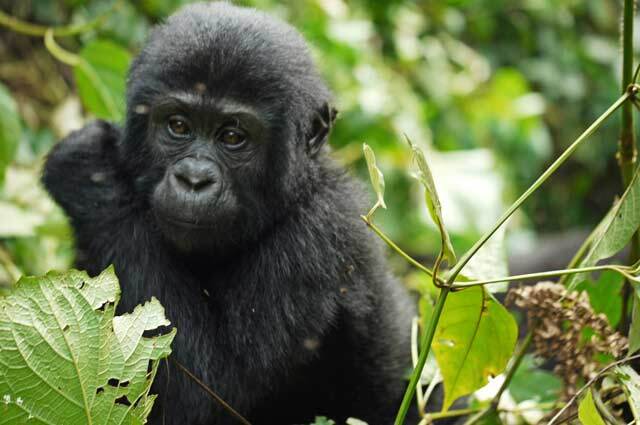 Mgahinga gorilla park is located on the border of Uganda and Rwanda. 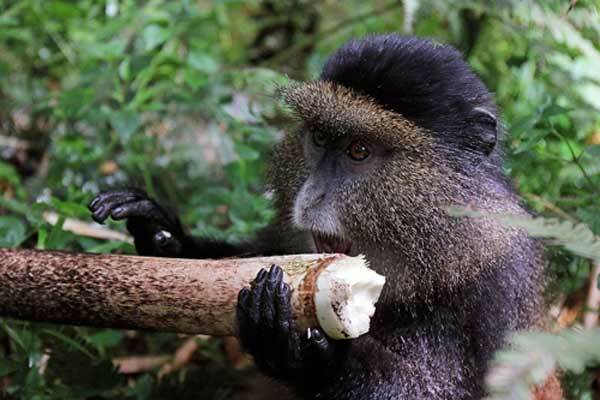 This is one of the few places where you can do Golden monkey trekking, the other being Volcanoes national park in Rwanda and Virunga National park in DR Conge, however this park offers another adventure: Golden Monkey habituation experience. Golden monkeys are some of the endangered primate species according to IUCN(International Union for Conservation of Nature), with a total of about 4000 individual species left in the wild. Golden monkeys get their name from the golden fur on their bodies which makes them some of the most beautiful animal species. They are small in size if compared to Gorillas and Chimpanzee, however, they are not as shy as their cousins. They are very inquisitive in nature and move about very fast both on ground and in the trees. They live most of their lives in the Bamboo section of the forest and they love feeding of the bamboo its self. They also feed on fruits and potatoes and sometimes they cross and feed on local farmers crops. The Golden monkey tour starts today. After an early breakfast, our driver guide will pick you from your hotel of place of convenience and start on the 10 hours journey to the south west of Uganda. 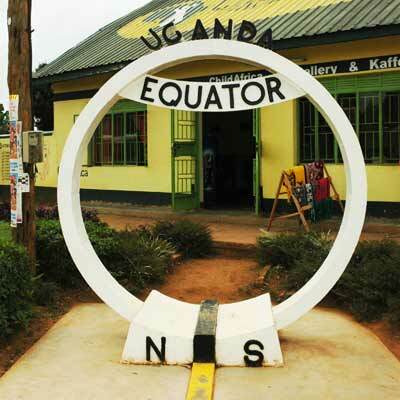 You will have a stop at the EQUATOR to have a Northern and Southern hemisphere experience. You will also order for a cup of Coffee or Tea, depending on your preference. 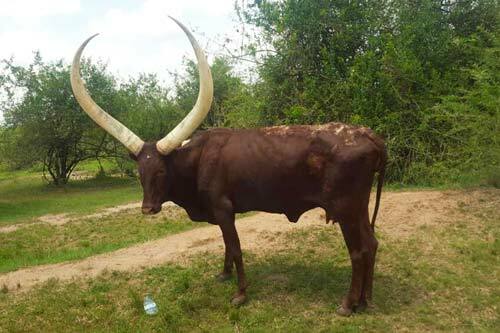 After our break, we embark on the journey, the next stop being Mbarara the land of the Long horned cattle and also know the center of milk production in Uganda. We will have lunch from here before continuing to Mgahinga Gorilla park in Kisoro (Kigezi) for our Golden monkey habituation experience. On arrival in Mhahinga Gorilla park, we Check in our lodge, have dinner and rest for the trek the next day. Today we have the highlight of our trip in Mgahinga Gorilla park "Golden monkey Habituation Experience" . Our driver guide will pick you from the hotel after an early breakfast and drive you to the park offices for briefing and grouping. Each group will be led by a ranger guide from Uganda Wildlife Authority(UWA) into the forest. Golden monkey trekking is not as hard compared to Gorilla or Chimpanzee tracking. The move through the forest is very adventurous, you get to have a jungle experience with beautiful sights and sound of nature. The trek is also good for bird watcher because of the many bird species in the forest. 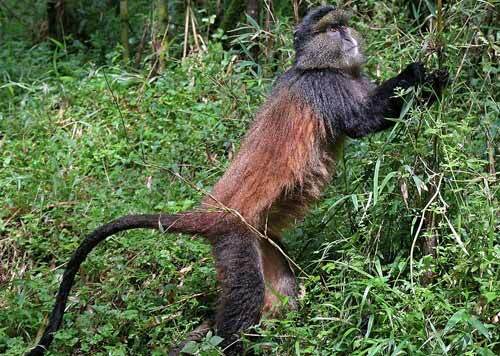 Upon tracing the Golden monkeys, you will spend the rest of the day with these cunning and beautiful primates. You can also take pictures with flash. You will then return back to park offices and our driver will take you back to your lodge having had a lifetime Golden monkey experience. Water: You need to refill your tank as the trek goes on. It is advisable to park a few water filtration tablets before you come for the trek.